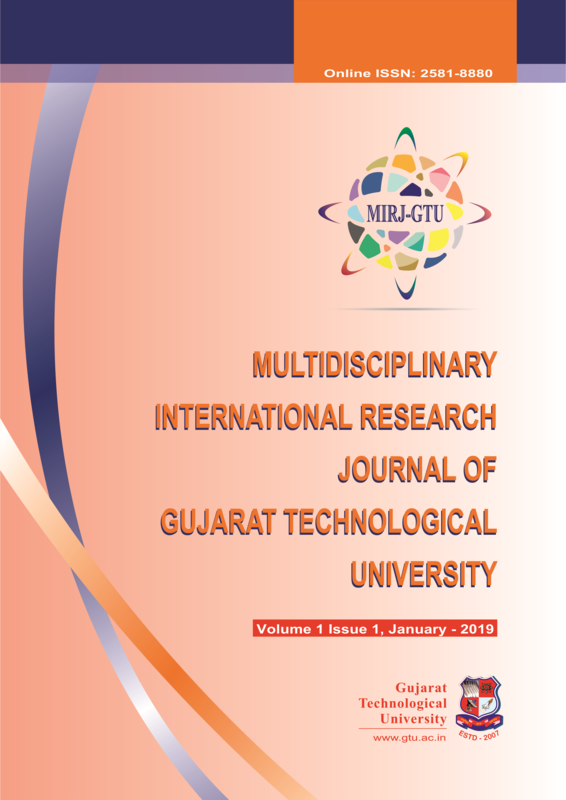 Multidisciplinary International Research Journal of Gujarat Technological University. Multidisciplinary International Research Journal (MIRJ) is designed to foster the dissemination of innovative ideas and outstanding developments related to various fields like Engineering, Pharmacy, Management, Master of Computer Applications and Architecture. All received research papers are blindly reviewed by reviewer for the originality of content, methodology, literature review and research gap, analysis part, research findings and its relationship with objectives, drafting, flow of information and paper writing skills etc. The views expressed in the research papers are of authors. No part of the published journal may be reproduced in any form without the written consent of the publishers.